As the world waits with bated breath for the Star Wars Episode 7 casting news that will bring us all either eternal suffering or joy, let’s look back to simpler times with a recently released video detailing the creation of the series’ iconic lightsaber. The video is interesting, if only for the behind the scenes video of some of film’s most well known characters smacking each other with grey sticks. 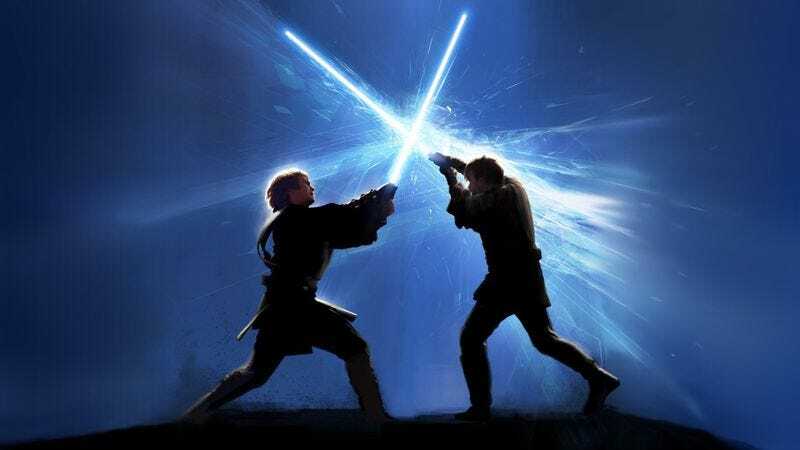 Beyond those inherently funny images, there is some very real insight into the evolving thought process behind the films’ usage of the lightsaber. For instance, George Lucas was initially adamant that lightsabers would be very heavy and require two hands to lift, but slowly moved away from that position to allow Yoda to pull off sweet spin flips.